Kidepo Valley National park is located in the north- Eastern part of Uganda, 700km from Kampala and it is tucked between the borders of Uganda, Kenya and Sudan. It covers an area of 1,442 sq km. It lies in the rugged, semi-arid valleys of Karamoja province, and those that make the long journey north would agree that it is the most magnificent park . The park harbours scenery unsurpassed in any other park of East Africa as well as great numbers of fauna and floral species. The vegetation can best be described as open tree Savannah which varies much in structure and composition. Mountain forest dominates some of the high places, while areas along the Lorupei River support dense Acacia geradi forests. The Park is accessed by both road transport and air transport. However because of security reasons, tourists are encouraged to use air transport since security situations are unpredictable on the road due to the existence of the stubborn Karamajong pastoralists. Chartered aircraft are available from Entebbe International Airport to the Park Headquarters. For the drives through out the park high level of security and safety is guaranteed.Road conditions are sometimes difficult and 4WD vehicles are essential.There are four possible routes by road: routes via Mbale pass to the east of Lake Kyoga to reach to the northern Uganda, routes via Karuma pass to the west. NB; Visitors intending to travel by road are advised to contact UWA headquarters to seek advice about conditions and safety on the roads. The park has over 80 mammalian species with around 28 of them being not found in any other Ugandan National park. 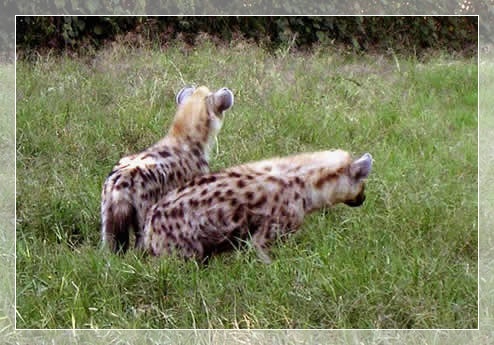 These include Carcal, Bat-eared Fox, Klipspringers, and Cheetahs. Other mammals include Elephants, Common Zebras, Buffaloes, Bohor Reedbucks, Waterbucks and Kongoni, Spotted Hyenas, Leopards and Lions, Oribis, Guenther's Dik Dik, Senegal Galagos, Side striped Jackals among others. The park is blessed with a number of bird species which include Silver birds, Yellow-billed Shrikes, Vinaceous Doves, Hoopoes, Nubian Woodpeckers, Mosque Swallows, Starlings, Scarlet-chested Sunbirds, Little Weavers, Red-cheeked Cordon-blue swallows, Yellow-rumped Seed eaters, Sand grouses, Clapperton's Francolin, Black Coucal, African Mustached and Broad-tailed Warblers, Marsh Tchagra and Crimson-rumped Waxbill among others. 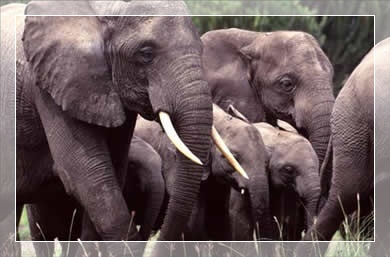 The park harbours a great diversity of animal species than other parks in Uganda. These include carnivores, ungulates, and primates. 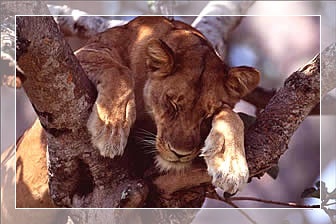 There are high chances of viewing tree climbing lions that always sits on sauces trees along Narus valley or on the rock just as you enter the Apoka Park Headquarter. Right from Apoka Rest Camp other animals that can be seen include elephants, leopards, bush duikers, jackals, bush bucks, bush pigs, kavirondo bush babies, buffaloes and much more. The Park boasts of an extensive avifauna. 465 species have been recorded birds of particular interest include the ostrich and the Kori bustard which are principally associated with arid regions. The park also has outstanding numbers of birds of prey. In this category, 58 species of birds that have been recorded. Amongst these 14 are believed to be endemic to Kidepo and the Karamoja region. Hiking is carried out on Lamoj Mountains just a few kilometers from the Park Headquarters. The local community near the park stages cultural dances and performances. Traditional dances such as the Emuya of the Naporre and Nyangia, Larakaraka and Apiti dances of the Acholi are interesting to see and participate too. Nature Walk and cultural visits to the Karamajong manyattas (homesteads) where you will be able to see kraals belonging to local communities, traditional costume, stools, spears headdress, knives, bows and arrows and jewelry among others. Visit the splendid Kidepo River Valley dominated by Borassus palm forest. Visit the Kanangorok Hot Springs, located only 11 km from Kidepo river valley.